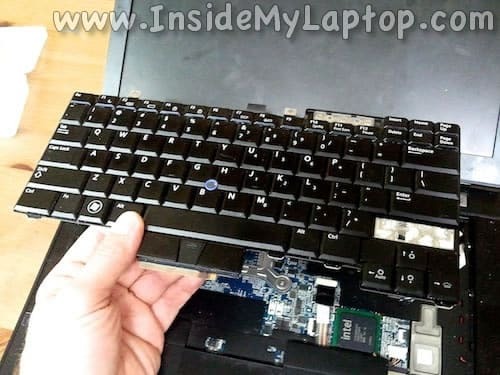 In this guide I explain how to remove and replace damaged keyboard on a Dell Latitude E6400 laptop. In my case one of the keys got damaged and I couldn’t fix the key because the metal bracket broke off of the frame. 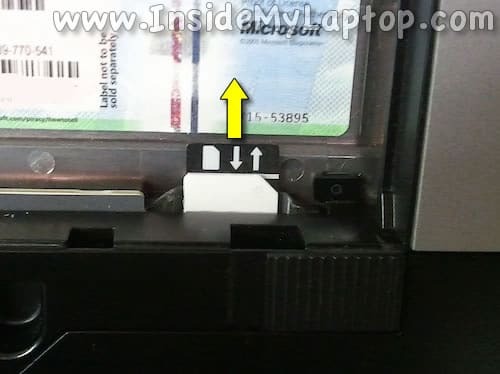 If you have a SIM card installed pull the black tab and remove the card. One of the LED cover latches located under the card. 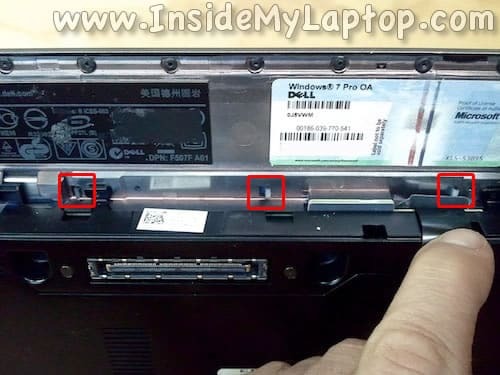 You will find three LED cover latches in the battery compartment. Push on each latch with a small flathead screwdriver to release the cover. 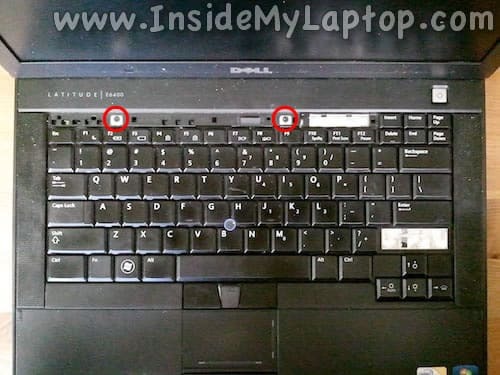 Remove two screws located above the F2 and F9 keys. 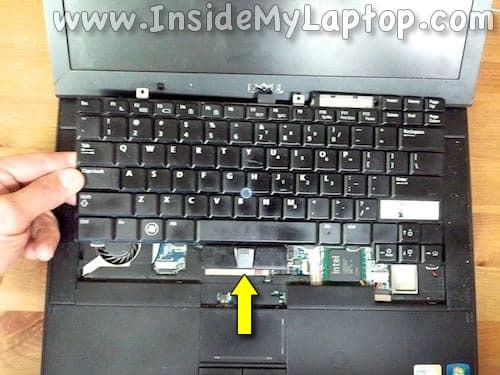 Carefully lift up the top side of the keyboard and slide it towards the display to disconnect from the motherboard. 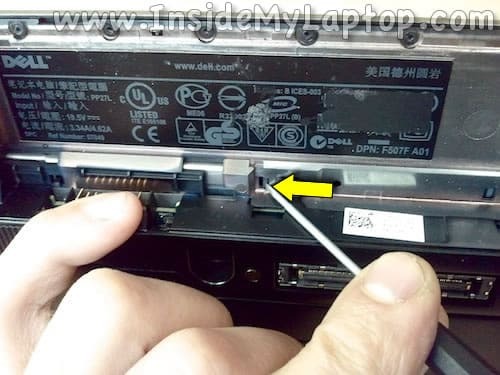 Dell Latitude E6400 keyboard doesn’t have a regular ribbon cable. 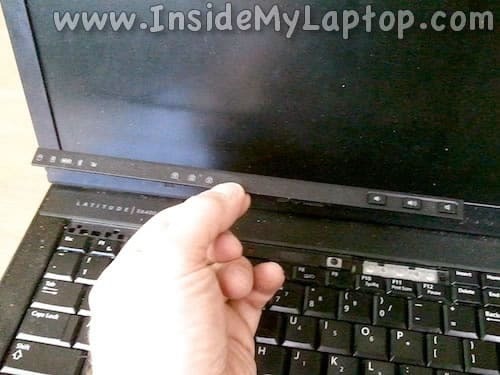 The connector is part of the keyboard frame and located below the left and right click buttons. 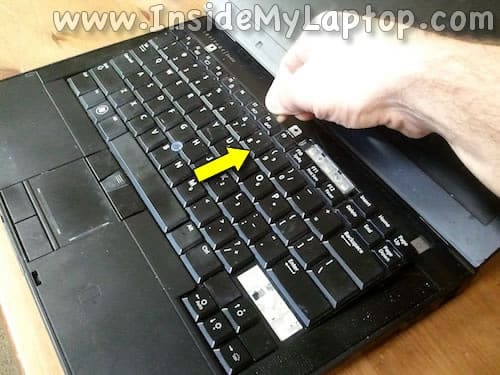 Now you can remove the damaged keyboard and replace it with a new one. You can find new replacement keyboards one eBay or Amazon. 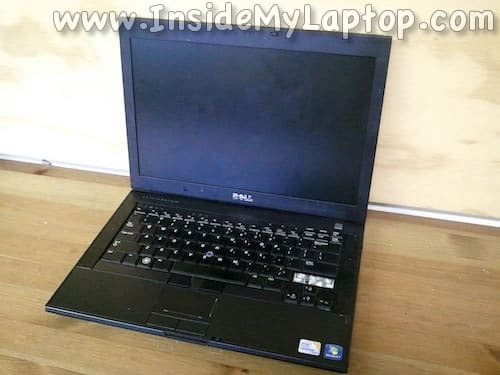 For complete Dell Latitude E6400 disassembly instruction please refer to the official service manual. 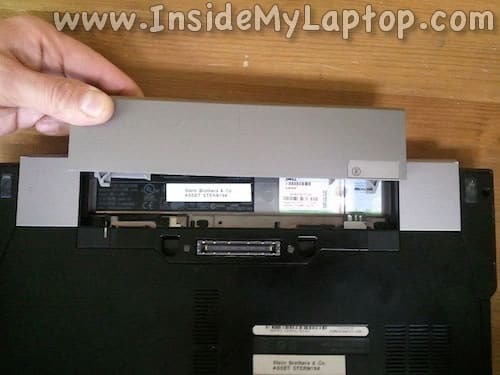 I need a sony vaio PCG-31311M service manual or power dc adapter instructions repair. Unfortunately, I couldn’t find this manual.